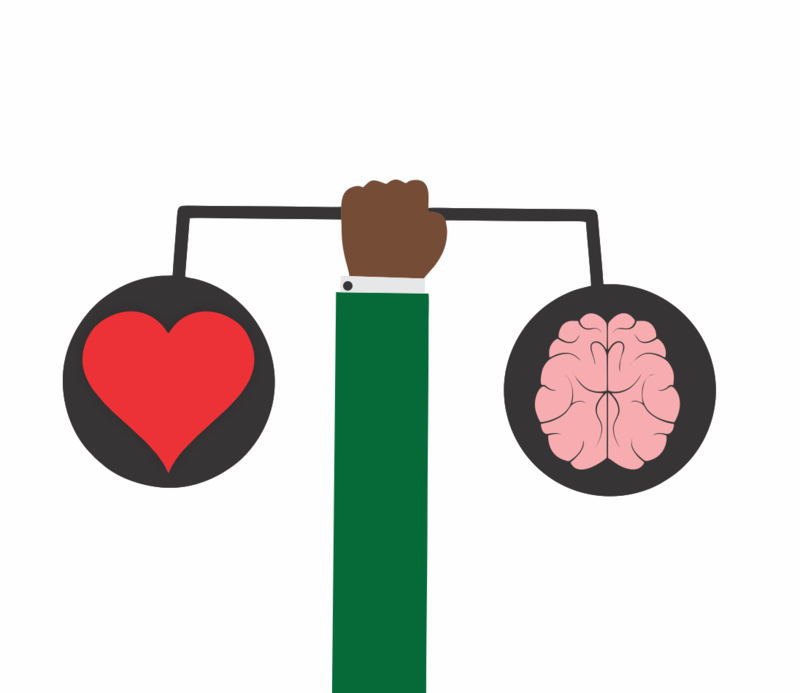 People have long argued about which is more important in the work place – Intelligence Quotient (IQ) or Emotional Intelligence also known as Emotional Quotient (EQ). IQ is a measure of cognitive intelligence, while EQ is “effectively blending ones thinking and feeling capacity to make/take optimal decisions or actions”. EQ describes an ability to monitor your emotions as well as the emotions of others, to distinguish between and label different emotions correctly, and to use emotional information to guide your thinking and behavior and then influence that of others. An organizational psychologist- Oyinkansola Alabi states that 85% of our ability to get a job, keep it and grow in the company is determined by our people skill (EQ) while 15% is determined by technical skill (IQ). In the work place, EQ allows an individual connect with colleagues, understand themselves better and live a more authentic, healthy and happy work life. Sadly, not many professionals have this very important and necessary skill. In the World Economic Forum’s ten skills required to thrive by 2020, emotional intelligence is the sixth, the first five- complex problem solving, critical thinking, creativity, people management and coordinating with others are also part of EQ as well as the subsequent four- judgement and decision making, service orientation, negotiation and cognitive flexibility. This shows how essential and powerful EQ is. Emotional intelligence has a triad known as the TFA map- T thoughts; F Feelings; and A Actions. It shows how actions are tied to feelings and feelings are tied to thoughts. Ideally, emotionally intelligent people are expected to deliberately think of their feelings before taking action rather than just move from feeling to action.. There are five components and four dimensions of EQ. Recognizing emotion – this relates to being aware of and recognizing other people’s “states”; identifying emotions in other people; expressing one’s own emotions appropriately and accurately; and distinguishing between accurate, honest feelings and inaccurate, dishonest feelings. Using emotions to facilitate thought – this involves redirecting and prioritizing your thinking based on the feelings associated with those thoughts; generating emotions that facilitate better judgement and memory; capitalizing on mood changes so you can appreciate multiple points of view; and using emotional states to improve your problem-solving skills and creativity. Understanding emotions – this includes understanding the relationships among various emotions; perceiving the causes and consequences of emotions; understanding complex feelings and contradictory states; and understanding transitions of emotions. Managing emotions – this involves being open to both pleasant and unpleasant feelings; monitoring and reflecting on your emotions; engaging, prolonging or detaching from an emotional state and managing the emotions both within yourself and in others. Organizations can instill emotional intelligence in their culture by assessing candidates’ EQ and not just their technical capabilities. Another way is through training a certified emotional psychologist for maximum impact. When employees are emotionally intelligent and responsible, they can be more effective and efficient, increasing the organization’s success. EQ helps assess people better, understand how relationships work, understand and helps prevent power struggles, negative judgment, resistance and enmity. The higher up the career ladder the less important IQ is and the more vital EQ becomes.